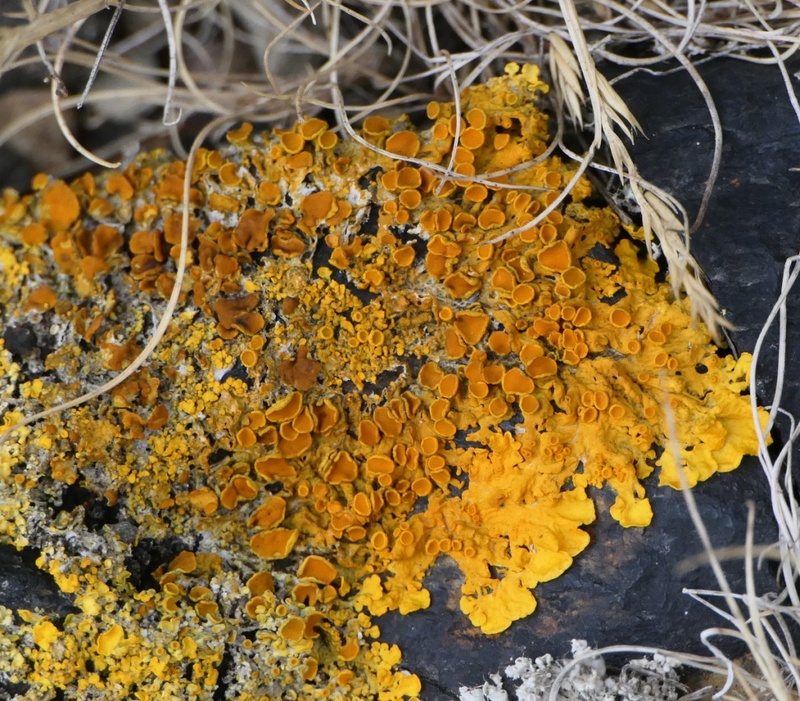 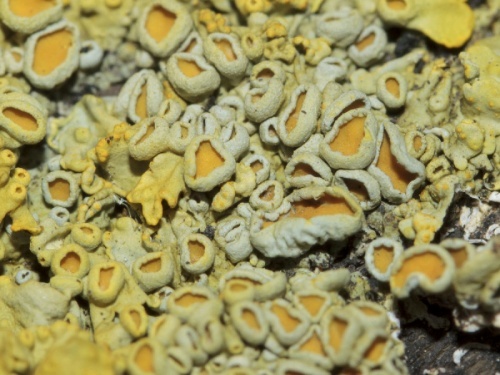 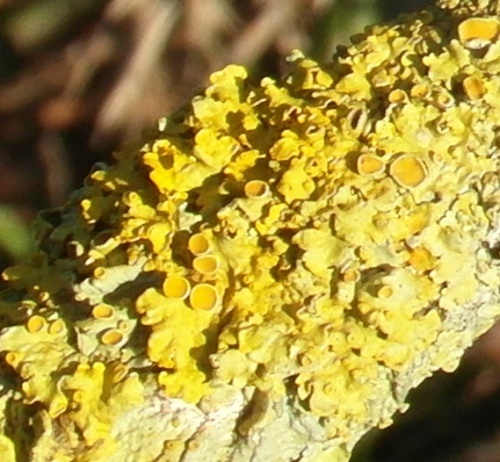 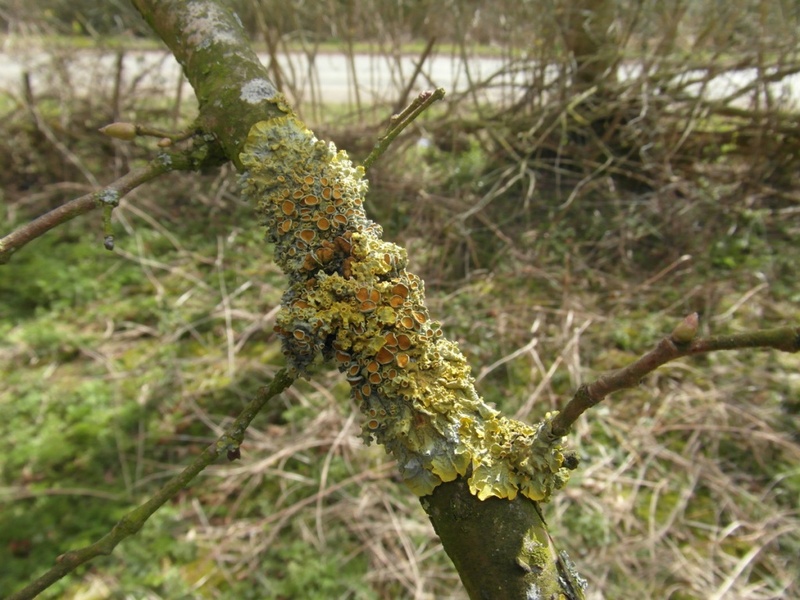 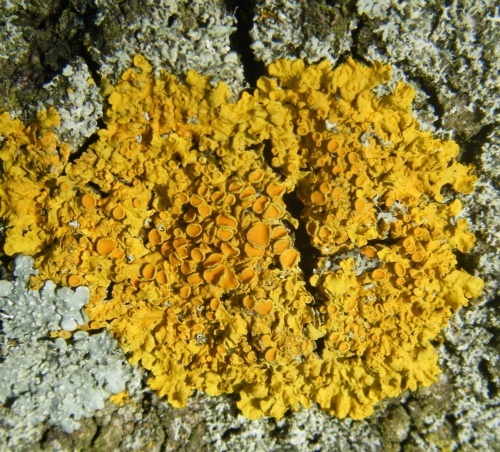 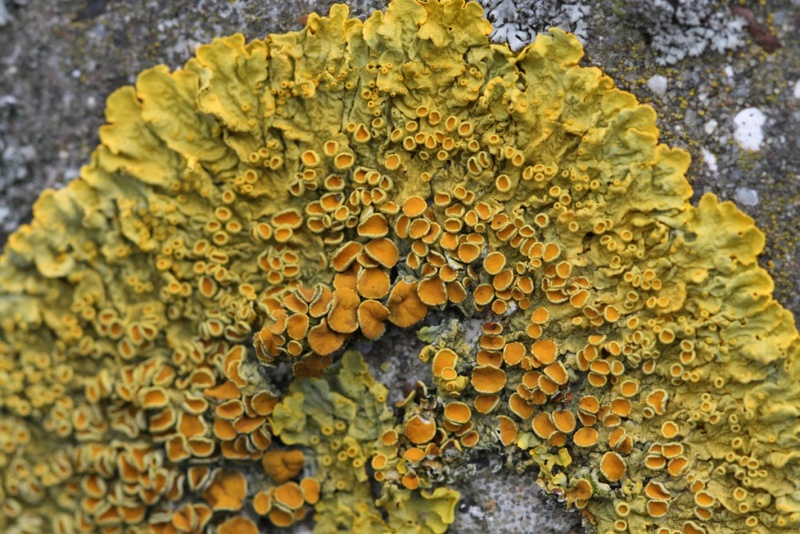 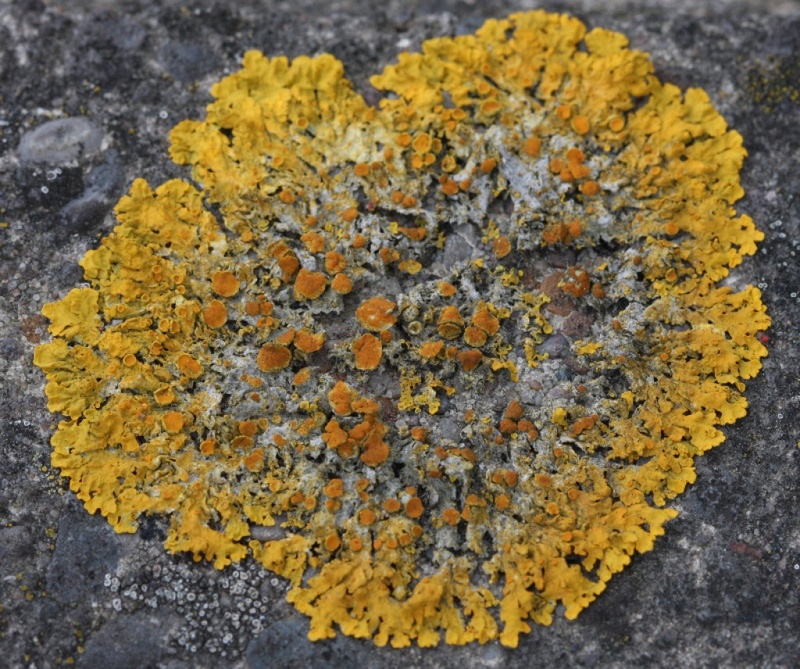 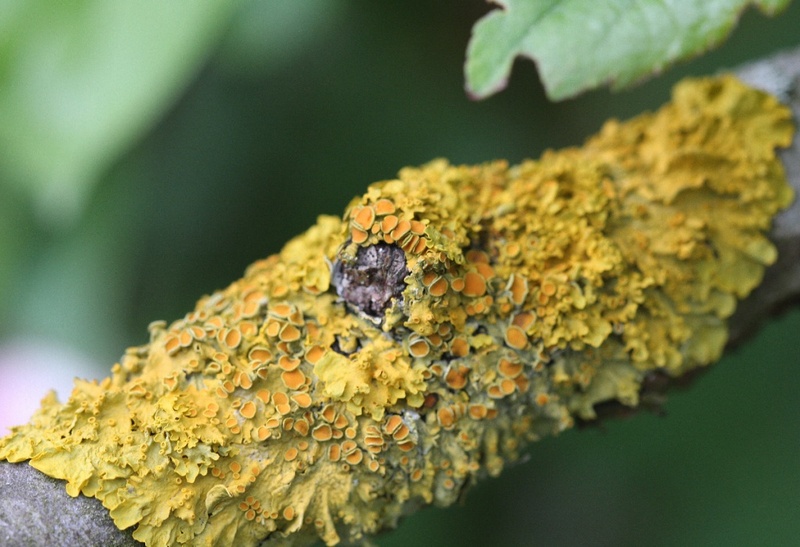 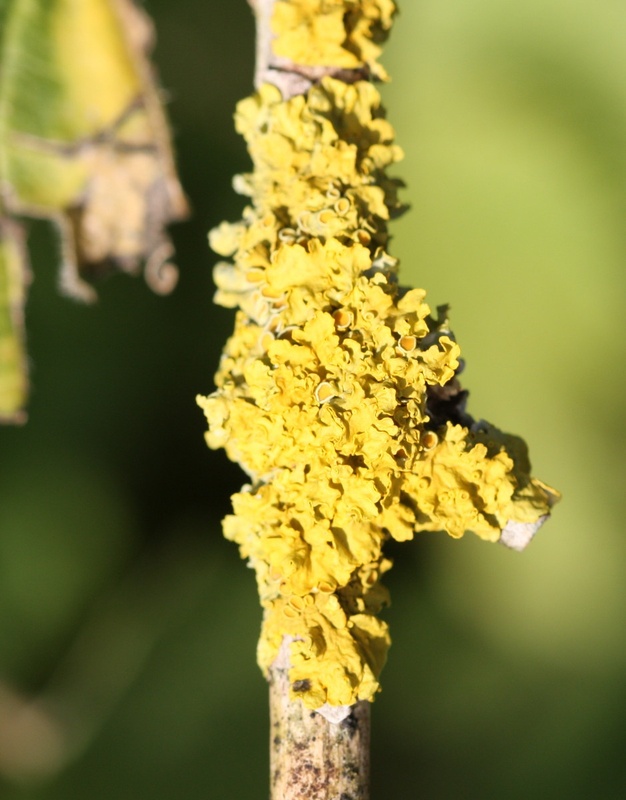 A yellowy orange coloured leafy lichen that is one of the most common species around. The yellow chemical xanthorin is thought to be produced as a defence against UV radiation to which it is exposed in its normal habitat - cement tiled roofs, exposed twigs and branches etc. 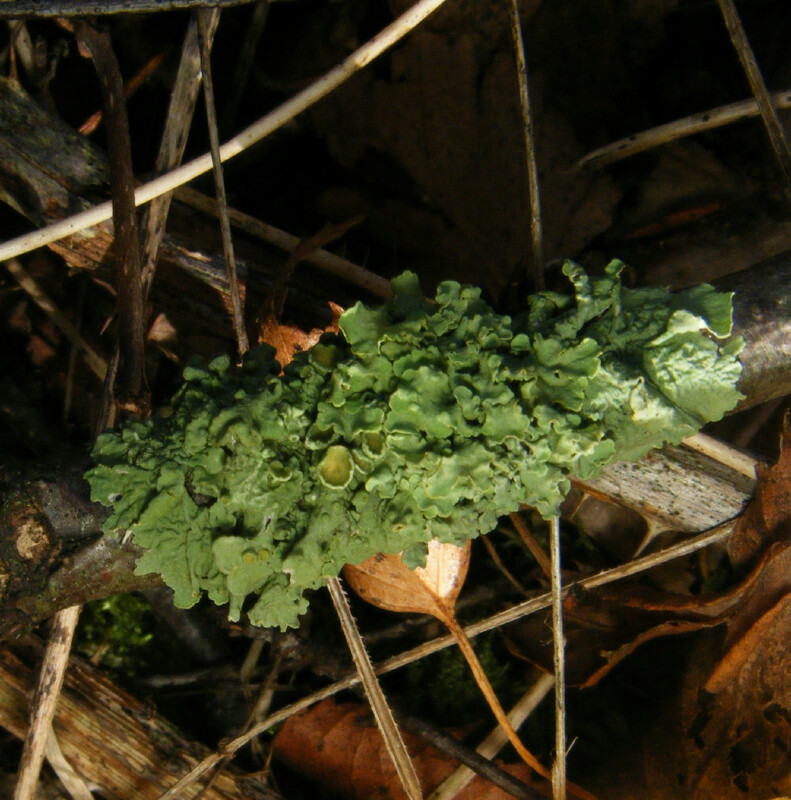 When it is growing in the shade it does not require such protection and xanthorin production stops and the lichen remains green. 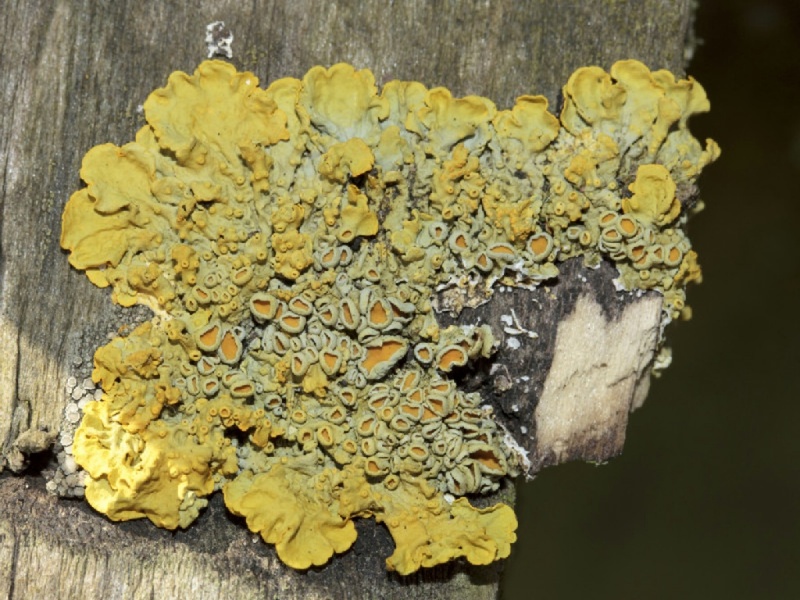 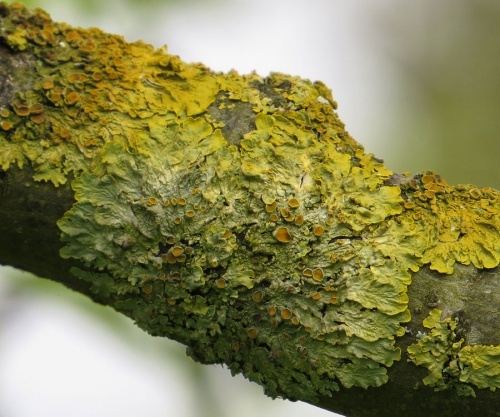 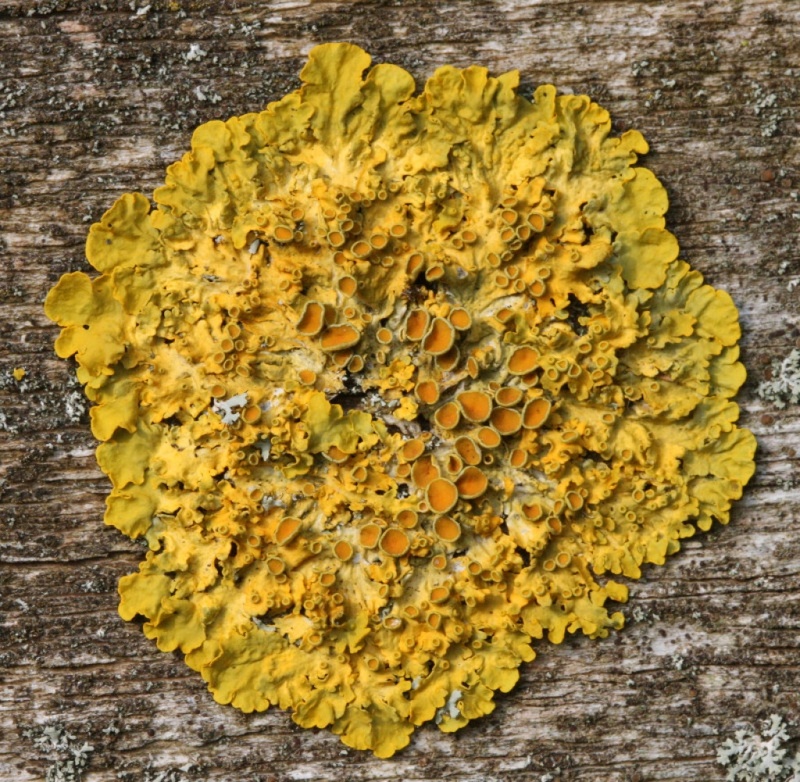 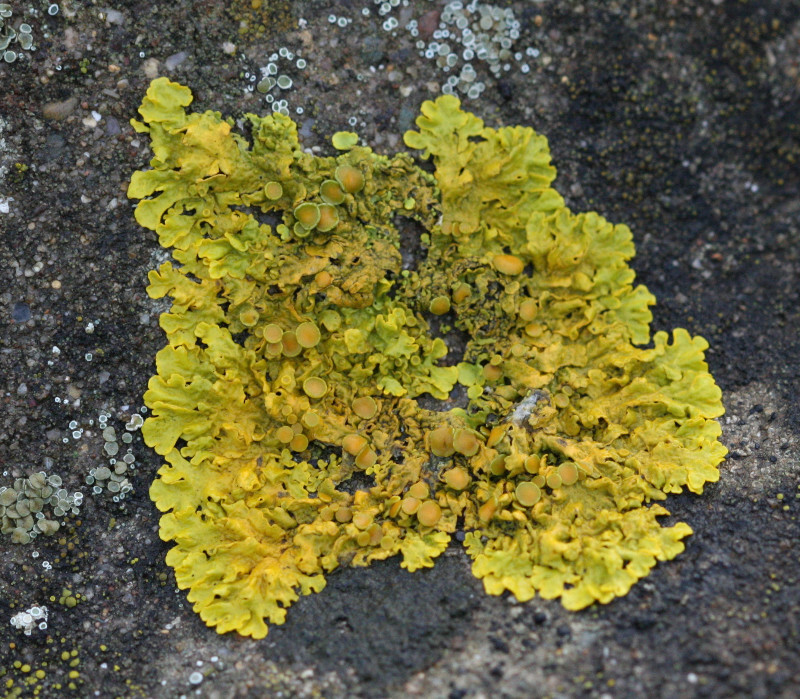 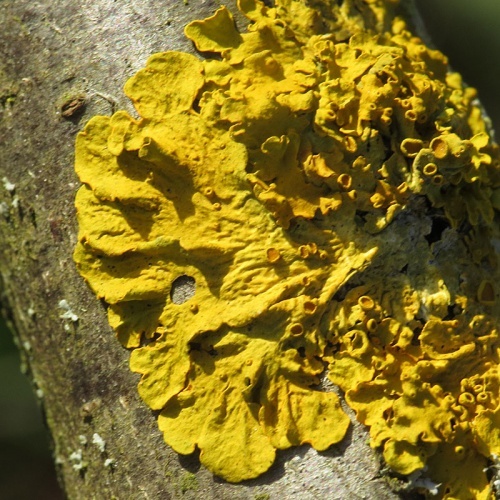 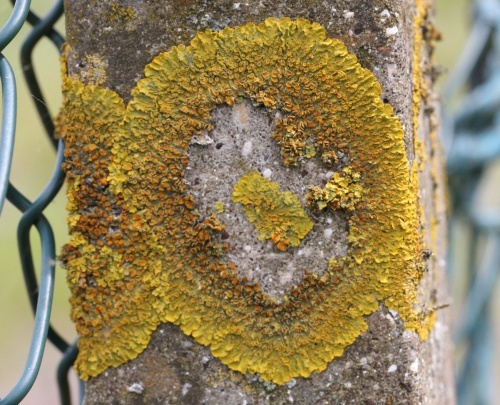 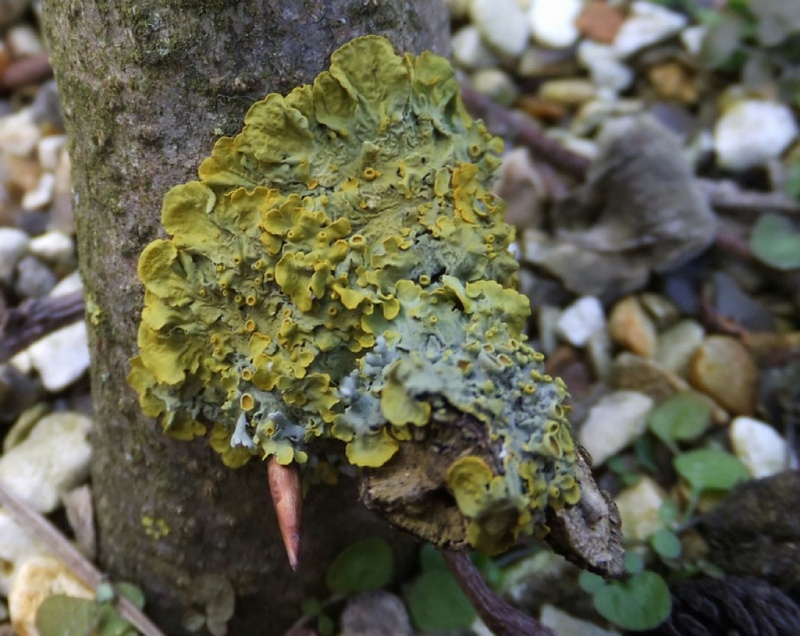 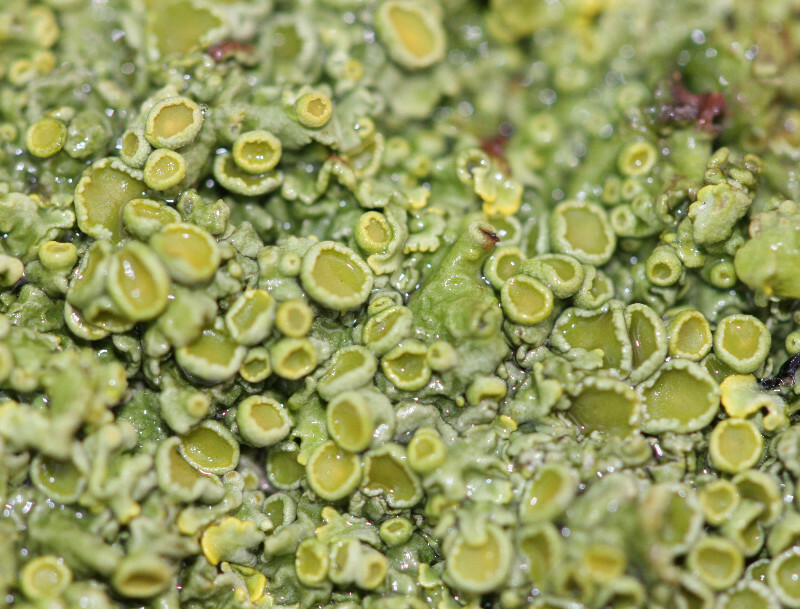 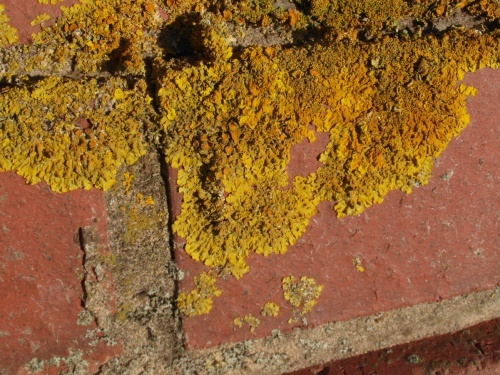 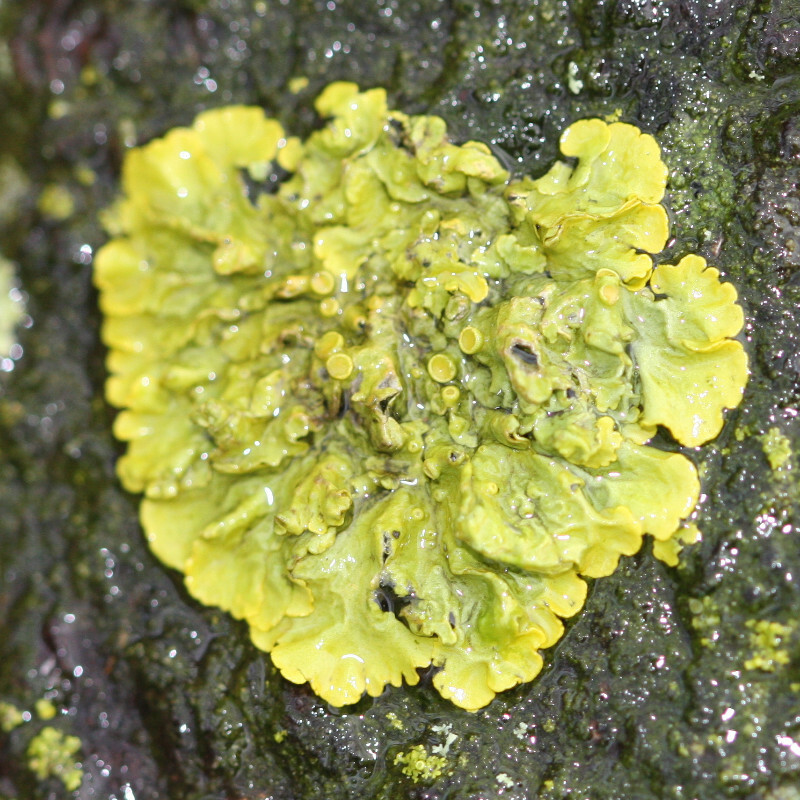 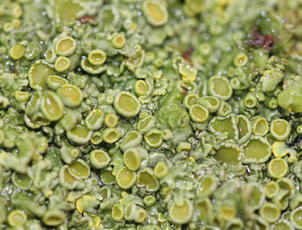 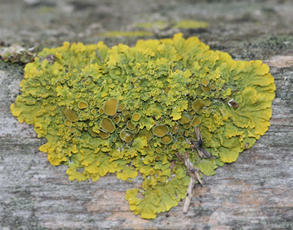 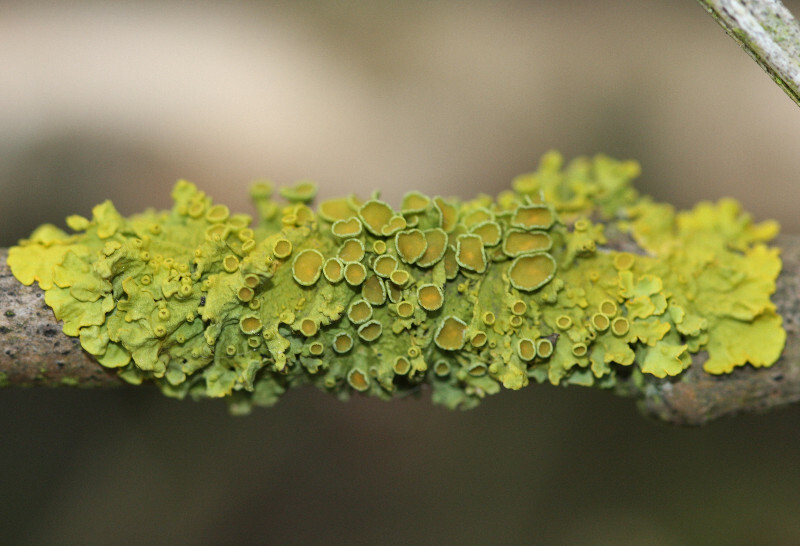 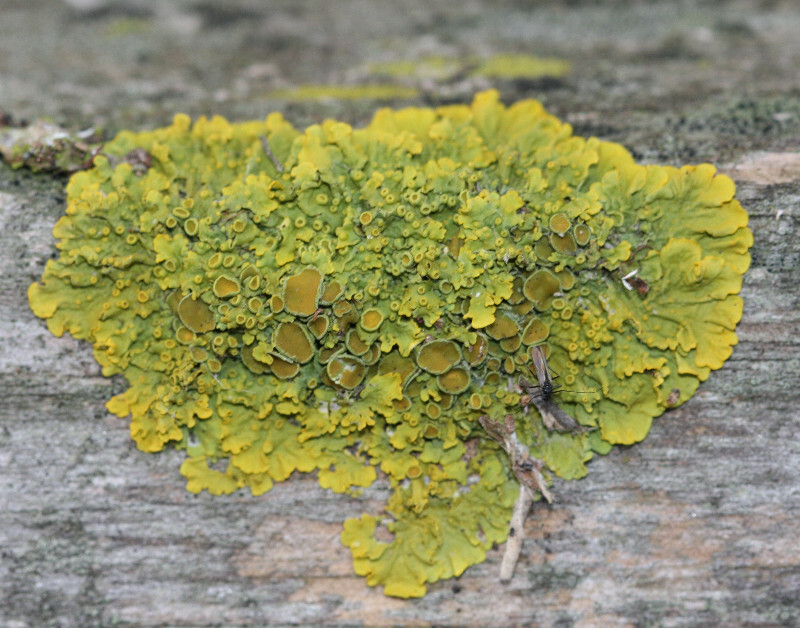 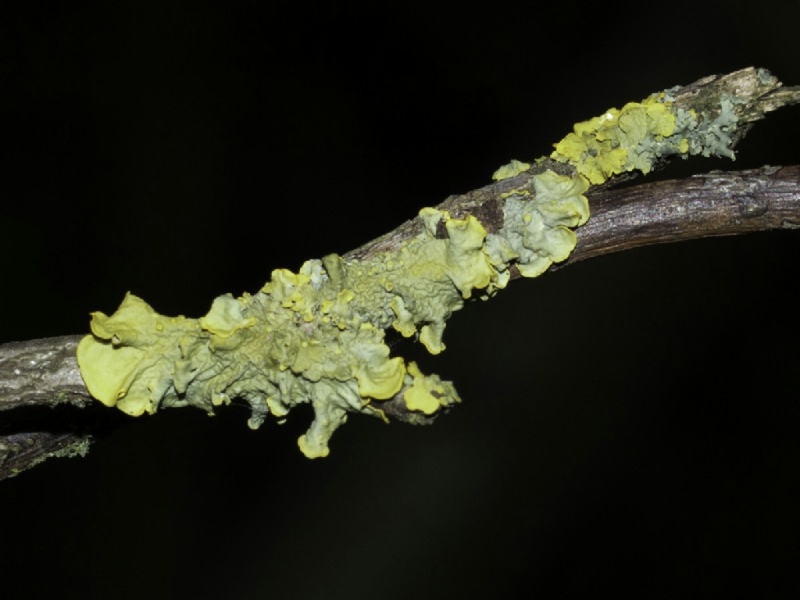 In or after rain, this lichen appears more greeny yellow as the algae shows through the more translucent fungus. On rocks, cement, tiled roofs and tree bark, particularly where bird droppings fall. 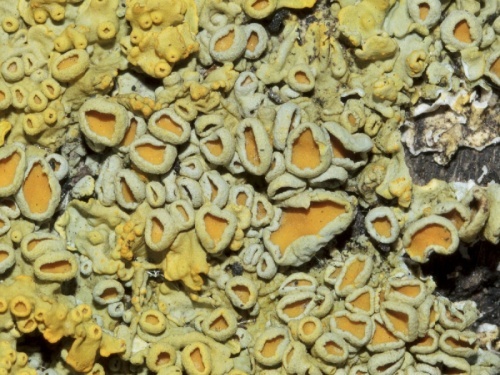 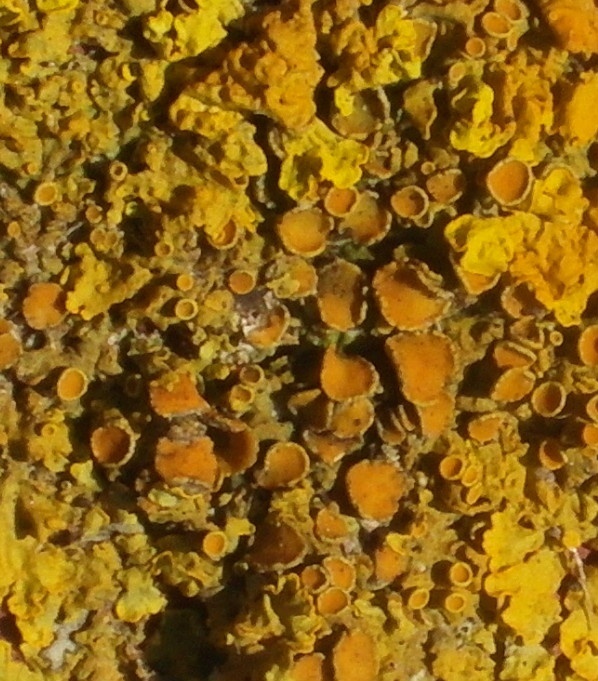 Xanthoria parietina is a very pollution-tolerant species. Nutrient enrichment by bird droppings enhances the ability of X. parietina to grow on rock.